Rabbit anti Human, Mouse, Rat c-fos. 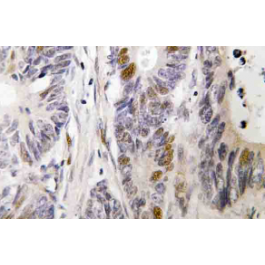 The v-Fos oncogene was initially identified as the transforming gene of two independent murine osteosarcoma virus isolates and an avian nephroblastoma virus. The cellular homolog, c-Fos, encodes a nuclear phosphoprotein that is rapidly and transiently induced by a variety of agents and functions as a transcriptional regulator for several genes. In contrast to c-Jun proteins, which form homo- and heterodimers which bind to specific DNA TPA response elements (TREs), c-Fos proteins are only active as heterodimers with members of the Jun gene family. Murine Fos B encodes a nuclear protein of 338 amino acids which has 70% homology with c-Fos, exhibits similar kinetics of expression as c-Fos and forms heterodimers with both c-Jun and Jun B, which bind to TRE DNA response elements. 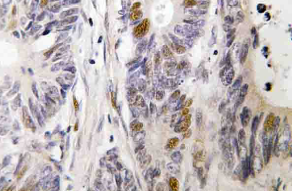 Functional homologs of c-Fos and Fos B include Fra-1 and Fra-2 genes. Phosphate buffered saline (PBS), pH 7.2. 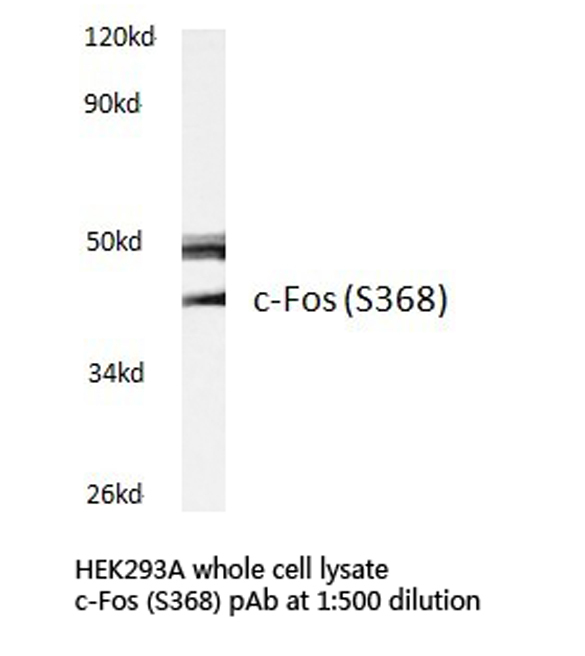 This antibody detects endogenous levels of c-Fos protein.